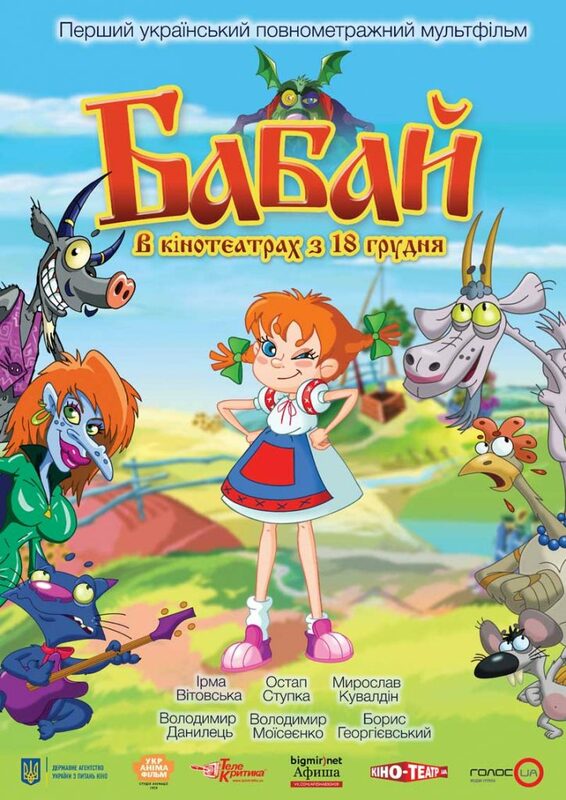 Babay (Бабай) is a 2014 Ukrainian children’s animated film. It was made by Ukraine’s major animation studio, Ukranimafilm (Укранімафільм). The film is an interpretation/retelling of several Slavic legends. In the beginning, the bird Alkonost (Алконост) lays a magical egg that will grant its owner’s wish. Several characters—the Witch (Відьма), Gorynych the Snake (Змій Горинич), and Viy (Вій)—compete for the egg. The Witch wins, but Babay abruptly steals the egg from her. While the Witch and a demon who is in love with her try to get the egg back, an old couple accidentally get their hands on it. 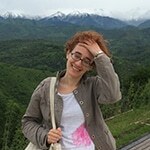 It hatches into a young girl, Svetka-Zoryanka (Світланка-Зорянка). Various other events transpire, and other Slavic fairy-tale characters are introduced, as the various characters try to achieve their happy endings. In addition to the original Ukrainian version of the film, there is also a Russian adaptation with an entirely different plot and message behind it. Ukrainian star singers Potap and Nastya voiced the Witch and Babay in that version. Despite producer Edward Akhramovich’s (Эдуард Ахрамович) assertion that the film is more than a fairy tale and can be enjoyed by adults and children alike, it got pretty bad reviews from (adult) reviewers. 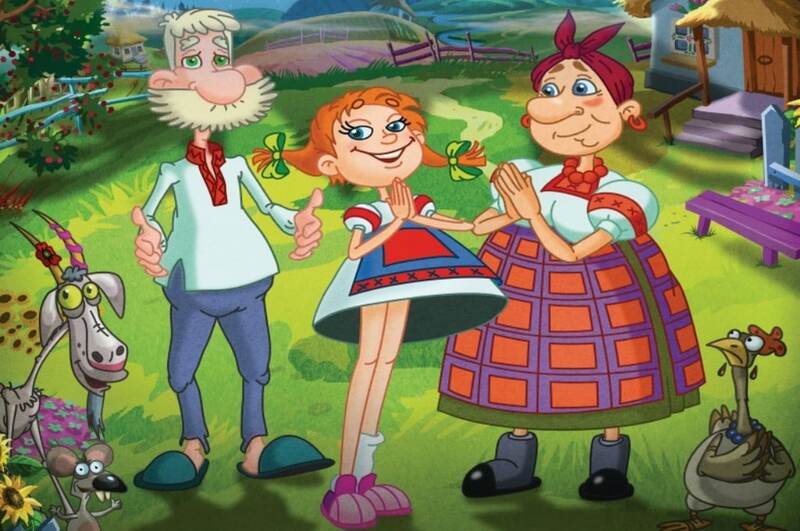 Nevertheless, as the first full-length Ukrainian animated film, it certainly has something to recommend it. Akhramovich is reportedly planning a full-length sequel to the film, and there is also a short animated series of the same name available on YouTube.